Nikonians.org has always been a user-driven community. Whenever our members show interest in enhancing our site, we take notice. Nikonians.org co-founder J. Ram?n Palacios (jrp) recently announced an upgrade you may have missed. As of recently, we were able to post images in the forums of up to 1,200 pixels wide and/or tall, with a maximum weight of 300KByte. Those dimensions have now been expanded to 1,800 pixels X 1200 pixels (for horizontal compositions) and 1,200 pixels tall for vertical compositions with a maximum weight of 1,000KBytes (1MByte). If you want your images to be appreciated by most members without scrolling we do recommend your images to be not taller than 900 pixels whether in vertical or horizontal composition to accommodate the full image in the most common resolution size of monitors in use by our members. These new specifications will be updated everywhere in the forums and at the corresponding wiki section for uploading images. For those with smaller monitor resolutions or on mobile devices, our system will automatically show an 800pixels wide version of the image for more convenient viewing. We are going to change the sizes of the previews used in our galleries. This has no effect of the full size (original) images. Currently, for every image uploaded to the galleries we are creating 1) A so called "thumbnail", an image having its largest side set to 150 pixels and 2) a "medium sized preview", having its longest side set to 400 pixels.
? Thumbnails from 150 pixels to 250 pixels. These images are used e.g. on the homepage of the galleries and in overviews of the content of galleries.
? The medium-sized previews from 400 pixels to 800 pixels. These images are used as previews for the full size images in the galleries, for the image linking (imglink) in the forums and as previews in the image sliders in e.g. 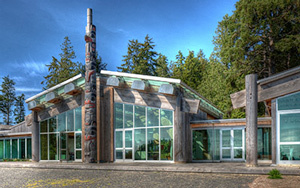 the wildlife forum. All new images uploaded to the galleries are affected immediately by this change, getting the larger thumbnails and previews generated. Existing images in the galleries on the other hand, will be getting new thumbnails and medium sized previews generated over the next few weeks. Until all thumbnails and previews have been regenerated, you will see a mix of the smaller (older) thumbnails and previews and the new, larger ones. Photography workshop sessions often rely on positive feedback to generate interest and Rick Hulbert has been hauling in the goods. He just finished his Urban and Street Photography workshop in Charleston, SC to glowing reviews. I attended Rick Hulbert?s workshop in Charleston, and I want you to know that I think he is a wonderful teacher. I have attended 10 or more educational workshops sponsored by the Nikonians and other companies, and they were all good. However, Rick?s workshop was fabulous. 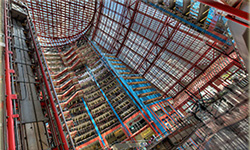 His perspective as an architect and a photographer is amazingly insightful, and he is passionate about his teaching. He says that he loves teaching, and it shows. The Nikonians Academy has a winner here. Rick's next Urban and Street Photography workshop is scheduled for San Francisco April 9-12. After that, he takes the workshop to London May 15-18. Our newest Nikonians Academy Instructor, Colin Hocking is excited to share his knowledge with the Nikonians community. 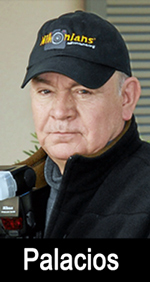 Colin has been a professional photographer for many years, photographing everything from sports to portraits. His next workshops for the Nikonians Academy are scheduled for Charlotte, NC and Atlanta, GA during April. At these events, he'll be teaching classes on Lightroom and on the Nikon D750, D600, D610, and D7000 & D7100. Meanwhile, looking ahead, Mike Hagen invites you to join him in Tanzania this November for a photo safari to the Serengeti that you'll never forget. 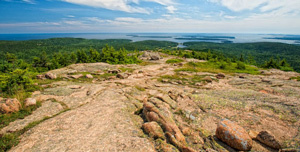 Each year, our trips get better and this year's trip is slated to be one of the best. Mike has secured lodging in some of the most incredible wild locations in Tanzania so that we can be as close to the wildlife as possible. 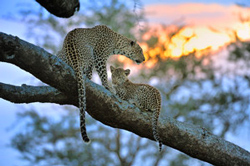 In fact, most nights you fall to sleep under the stars while listening to lions and hyenas in the distance. If you've been waiting to go on a trip to Africa, now's the time to go. This year's trip runs November 4-15, 2015. Nikonians Academy Director Mike Hagen has an update on current and future workshops, concluding with one his favorites ? 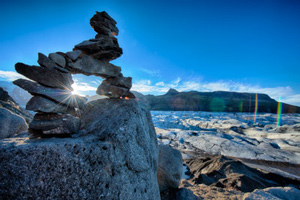 the Iceland Birds and Landscapes Photo Adventure. This week, a group of photographers descends on Charleston, South Carolina for what is destined to be a fantastic Urban and Street Photography workshop with Rick Hulbert. If you weren't able make this class on the east coast, then how about heading over to our next Urban and Street Photography Workshop on the west coast in beautiful San Francisco, California. This is a four-day workshop with a maximum enrollment of 10 people, starting April 9. For our members across the Atlantic, Rick has scheduled an Urban and Street Photography workshop this May for London, England. The London workshop starts on May 14. The conference space being used for the workshop is within walking distance of a number of landmarks, buildings and bridges, from Big Ben to Buckingham Palace to the London Eye. 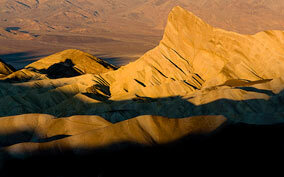 The March 26th - 29th workshop to Death Valley with Michael Mariant is right around the corner. Michael's intimate knowledge of Death Valley is one of the selling points of this workshop since he knows exactly where to go and when to be there for the best photography experience possible. Capture the vibrancy of Death Valley during shooting sessions throughout the day interspersed with extensive specialized instruction in landscape photography. This workshop focuses not only on the 'where' to take the pictures, but also on the 'how' to take pictures, incorporating photographic education throughout the workshop at each location, building on the previous locations techniques and lessons to culminate in a comprehensive lesson in composition, modified exposure, light controls, Nikon Creative Lighting System (CLS), and High Dynamic Range (HDR) photography to name just a few. Jim Stamates' annual Alaska! 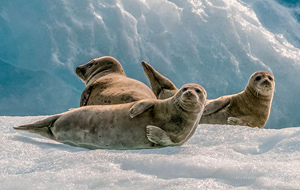 - Whales, Bears, and Ice Fields Wildlife Photography Adventure is scheduled for July 17 - 23, 2015 and is a perennial favorite. During this seven-day, six-night adventure Nikonians will have their own private boat to find Humpback and Killer Whales, seals, and other marine mammals, and to take us to a remote area to photograph the largest of the grizzly bears, the Alaskan Brown Bear. With instructions from a professional wildlife photographer you will fill your cards with images that will astound our friends, family, and other Nikonians. Last year's trip brought some of the best whale photography in Jim's career. Jim does everything he can to maximize opportunities for grizzly bears, birds, sea lions, killer whales, glaciers and everything in between. 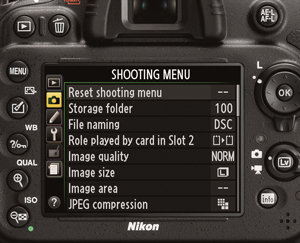 Did you get a new Nikon camera gear or Lightroom software this year? If so, let us help you learn it in one of the industry's best classes. Our small (15 or fewer) workshops are perfect for learning complicated gear and they are formatted in a hands-on way that is second to none. We have more cities coming your way very soon! Join Mike Hagen in Iceland this July for our annual Birds and Landscapes Photo Adventure. Mike will be taking a small group of intrepid photographers to the Southern Coast of Iceland for a journey they'll never forget. ?Our trip runs from July 12 - 20, 2015. During our journey, we'll photograph some of the most amazing scenery and wildlife Iceland has to offer. From verdant rolling hills to rugged mountains, the landscapes of Iceland are famous for their interplay between light and sky. We've also included a few photo sessions with some famous bird populations to stoke your wildlife photography passions.? This trip is already half sold out, so don't hesitate to sign up if you are interested. We are doing some planned maintenance on our systems Sunday 15-FEB-2015 08:00h UTC (03:00 AM EST). We expect the maintenance not to take more than 30 minutes. In this period of time, nikonians.org will not be reachable. Attention Nikonians in California: Are you interested in increasing your lighting skills? Be on the lookout for an email from us within the next few days. The email will come directly from Nikonians co-founder J. Ram?n Palacios (jrp). He has been working on plans for a unique opportunity exclusive to Nikonians in California. He has most of the details locked in, and you Golden State folks will be receiving a specially targeted email soon. The emails will be your gateway to a limited number of seats available at a special function designed to gather information about photography lighting products to be held later this month in the San Francisco area. We're told this will be of interest to both amateur and professional photographers, and (the best part), those who are selected to participate are in line for financial compensation. Sorry, but that?s all we can tell you for now. Just keep your eyes peeled on your inbox and you will be the first members invited to participate in this unique opportunity. Nikon started this week with announcements of new camera bodies in a variety of price ranges, offering features aimed to lure both beginners and professionals. The announcement unveiled nine new cameras under the COOLPIX banner, and a specialty FX format DSLR designed for serious astrophotographers. 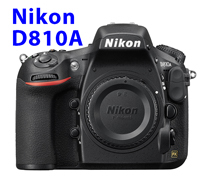 Our members in the Astrophotography forum are already discussing the new Nikon D810A. 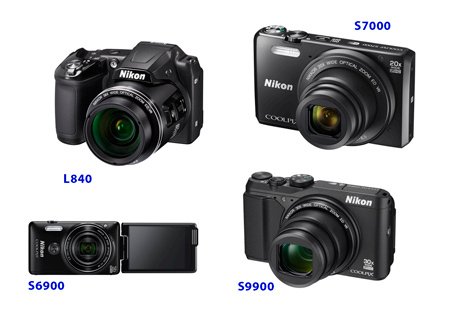 The COOLPIX line adds the budget friendly S3700 and L32. The 20.1-megapixel COOLPIX S3700 comes with an 8x optical zoom and Nikon Snapbridge, whereby users seamlessly shoot and share stunning photos from the camera to a compatible smartphone or tablet via built-in Wi-Fi?1 and Near Field Communication technology (NFC2). The 20.1-megapixel COOLPIX L32 allows users to conveniently capture great images without hassle through a highly intuitive and simple interface. Whether shooting in Easy Auto Mode, one of the 15 scene modes or recording video with one-touch recording, the L32 emphasizes ease-of-use for everyone. It also offers 720p HD video, 5x optical zoom, and a bright 3.0-inch LCD display. If your photography leans towards shooting under rugged conditions, you will want to check out Nikon?s new COOLPIX AW130 and COOLPIX S33, two durable compact cameras capable of capturing incredible images and Full HD videos, even under extreme conditions. Both of these COOLPIX additions are waterproof, shockproof and freeze proof. The AW130 is designed to handle adverse conditions with ease while offering a feature set ideal for those with an active lifestyle including GPS. Additionally, the 16-megapixel CMOS sensor COOLPIX AW130 offers Nikon Snapbridge. The COOLPIX S33 combines worry-free durability with an easy to use interface that helps every member of the family capture incredible images and HD video. With budget-friendly and all-weather capabilities covered, Nikon continued the unveiling session with COOLPIX models offering everything from super-zoom to GPS in a variety of colors. 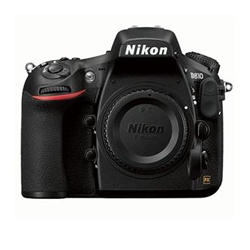 Featuring 60x optical zoom NIKKOR ED glass lens and 120x Dynamic Fine Zoom capable of reaching awe-inspiring distances. It combines a 16-megapixel CMOS sensor and a high performance Autofocus (AF) system to help capture detailed images and sharp Full HD video. The camera features both a built-in electronic viewfinder and a 3-inch Vari-angle LCD, both boasting 921k dot resolution display to help users easily compose the perfect image from any angle. The COOLPIX P610 also features built-in GPS and Points of Interest (POI), allowing users to geo-tag shots and view where they were taken on a map, making this the ideal companion for the next weekend getaway or family retreat. This super-zoom camera also allows users to quickly and easily send photos to a compatible smartphone or tablet using the P610?s built-in Wi-Fi and NFC connectivity. 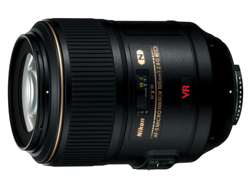 Featuring a 38x optical zoom NIKKOR ED glass lens with the ability to reach 76x with Dynamic Fine Zoom. It uses lens-shift VR Technology to help minimize blur caused by camera shake. 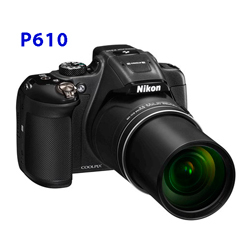 The new 16-megapixel COOLPIX S9900 is the ideal long zoom camera for the light-packing jetsetter. Sporting a 30x optical zoom lens (up to 60x Dynamic Fine Zoom) lens shift VR for stills and Hybrid VR Technology and also offers sports automatic and manual exposure mode controls as well as new Time-Lapse video recording for those ready to put their personal touch on every image. Nikon calls it the world?s lightest design. It fits in your pocket yet still manages to carry lens-shift VR technology. The camera?s 18 scene modes provide the optimal settings for a variety of common shooting scenarios. Creative videos are a simple touch away while the camera also features a new Time-Lapse video function. Featuring a 3-inch Vari-angle touch screen, built-in kickstand and front shutter release button, the COOLPIX S6900 is designed to capture fun and flattering self-portraits with ease. Equipped with a 16-megapixel CMOS Sensor, 12x Optical Zoom NIKKOR ED glass lens and 24x Dynamic Fine Zoom, users can take close-up ?selfies,? group shots and portraits with extreme detail and accuracy. Check out the new 36.3MP FX-format CMOS sensor Nikon D810A, a DSLR optimized for astrophotography and other scientific applications. By modifying the infrared cut filter for the hydrogen alpha wavelength, Nikon has created a camera that gives photographers the ability to capture the diffuse nebulae in the night sky and to create colorful, breathtaking celestial images. 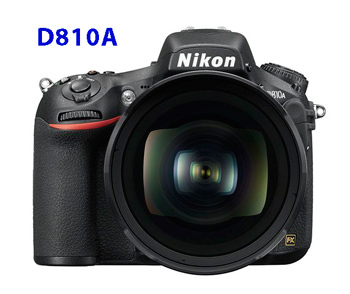 The D810A shares its architecture with the powerful and professional high-resolution Nikon D810 DSLR and includes other new features designed uniquely to help capture the cosmos, letting users achieve sharp and vibrant images of the universe. While not recommended for general photography, the D810A is an excellent option for photographing the universe with either NIKKOR lenses or third-party adaptors for telescopes. 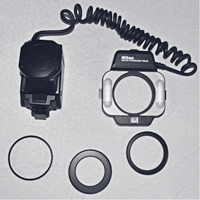 In addition to the optimized IR cut filter, the D810A adds other features that are useful for astrophotography applications. A new Long Exposure Manual Mode is implemented, giving users the ability to set shutter speeds from 4, 5, 8, 10, 15, 20, 30, 60, 120, 180, 240, 300, 600 or 900 seconds (15 minutes), as well as Bulb and Time settings. Building upon the D810?s excellent low-light capabilities, the ISO range has been optimized from 200 to 12,800 (Hi-2 51,200), for maximum sensitivity with the optimal signal to noise ratio. Nikonians Academy Director Mike Hagen tells us the next few months will have instructors running workshops and photo adventures throughout North America. Next week is Rick Hulbert's Urban and Street Photography Workshop in Charleston, SC and his next Urban and Street workshop is set for San Francisco April 9 - 12, 2015. We are already half-filled for his SF class, so don't wait too long to sign up. 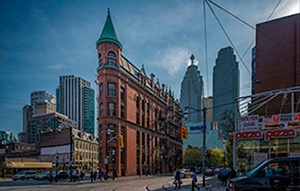 This workshop is designed to get you to think about concepts in architectural and urban photography that you hadn?t thought of or considered before. That is, admittedly, a rather bold statement. However, that is exactly what this four day experience will achieve. You will discover how to better frame and crop architectural and urban images using the long established basic principles of portrait, wedding, and event photography. By the way, if you are a wedding or event photographer, this workshop will take your photography up a notch as well. Michael Mariant's Death Valley workshop takes adventurous photographers to this top destination. Michael knows this park better than almost anyone and is one of the best at showing technique in the field while also helping travelers create stunning images. The Death Valley workshop runs from March 26 - 29, 2015. 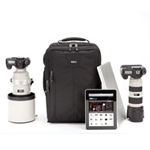 Join us in April for our Masters Series workshops on Nikon cameras and Adobe Lightroom 5. We are scheduled to be in Charlotte, New York, Atlanta during the month of April and are looking forward to seeing you! Our international trips are some of the best out there and we'd love to help you create some beautiful memories in a foreign land. Join us in Iceland this July or the Galapagos this September or Tanzania in November for a trip you'll never forget. Nikon cameras have been around for over 50 years with the professional Nikon F hitting the market back in 1959. Some of us who use Nikon started out decades ago, amassing a large collection of equipment and cameras. Long-time Nikon users often wonder if their old equipment is still worthwhile, or if it is even still functional with the latest hardware. 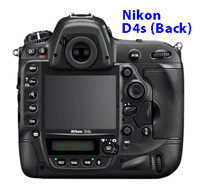 In this article, we?ll discuss using older Nikon gear in an attempt to sort it out. Nikonians Academy Director Mike Hagen has issued an invitation for members to check in to the Urban and Street Photography workshops presented by Rick Hulbert in the next two months. You will spend a significant portion of the workshop in the field, with hands on photography. Rick will give daily constructive critiques of your own selected images which is a key part of the learning experience. 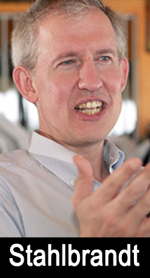 Rick will be coming to Charleston SC, February 19-22 and San Francisco, CA, April 9-12. There is no requirement for fancy equipment. Any and every brand of camera will work, so we strongly encourage participants with Canon, Pentax, Sony and other camera brands to attend. The principles taught will also apply to point and shoot cameras, new mirrorless cameras and even camera phones. 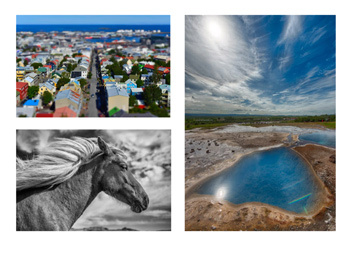 Come with us on an international photo adventure to Iceland, Galapagos or Tanzania with Mike Hagen. Each of these trips are specifically designed to take photographers (and their spouses) to amazing places with incredible photo opportunities. One of the best aspects of the Tanzania trip is that we are only allowing three photographers per vehicle. 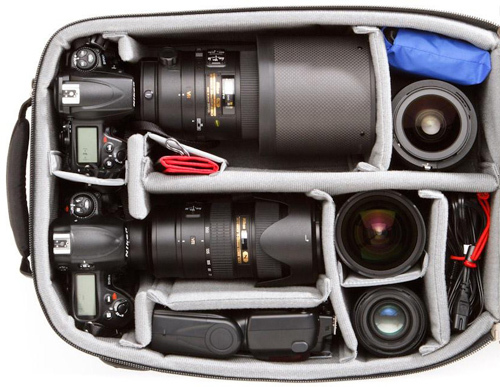 This means that each person will have an entire row to themselves with one seat for their camera gear and the other seat for themselves. There will be plenty of room to move around and everyone will have perfect access to all photo opportunities. This is a trip for photographers, designed by photographers. Your tour leader works exceedingly hard to help put you in the right spot at the right time. Our Nikonians Academy instructors shoot the USA national parks like no one else. Join us in Yosemite, Yellowstone, Grand Teton, Giant Redwoods, Bishop and Acadia this year for some incredible photography with three of the best instructors in the business: Michael Mariant, Lester Picker and Jim Stamates. - Our classroom workshops are some of the best-designed, well thought out workshops in the industry. We created them to help people learn their equipment in a way not commonly taught at other workshops. These classes are specifically targeted to cameras, software and flashes. Join us in a city near you. We are adding more cities to the schedule all the time, so make sure you visit the Nikonians Academy homepage for updates.